A once remote area that’s now one of Hainan’s new hotspots, Haitang Bay stretches for 27 miles (43 kilometers) along the island’s southeastern shores. In recent years, Haitang Bay has earned its place on the tourist map as the home of several luxury hotels, including The Westin, Shangri-La and Kempinski, with more in the works. While ongoing development will likely draw bigger crowds to the area, it remains one of the quieter beaches on the island, perfect for watching a sunrise. 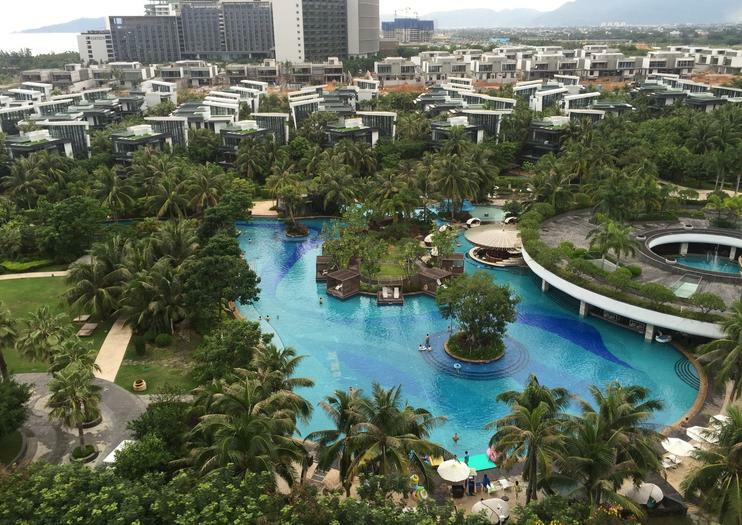 Aside from wide open sandy beach and numerous resort options, the area also features the 300-shot Haitang International Shopping Center, one of the biggest duty free malls of its kind in the world. While the beach at Haitang Bay is a beautiful setting for walking or lying in the sun, the current can be quite strong, so swimming is not recommended. Explore Haitang Bay during this half-day snorkeling trip from Sanya. Skip the hassle of renting a car with round-trip transportation via air-conditioned coach from your hotel in Sanya. Go swimming and snorkeling in the azure waters using the provided snorkeling gear, then refuel with an included meal before returning to Sanya.